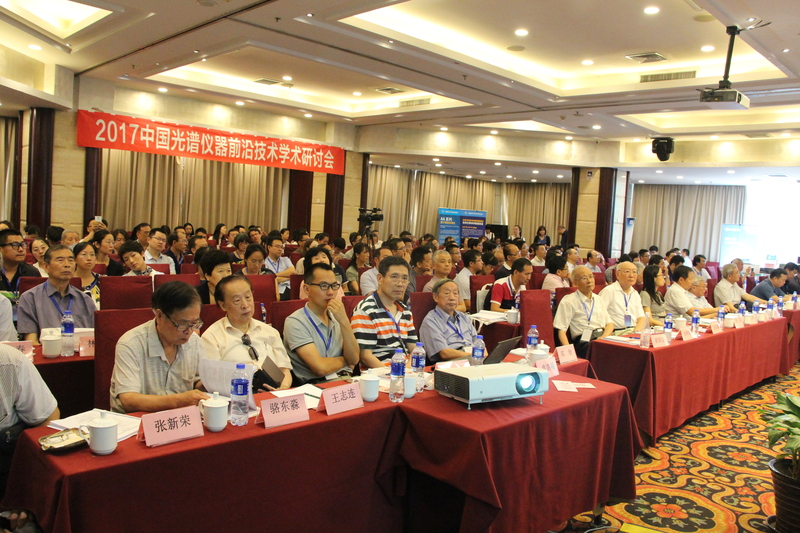 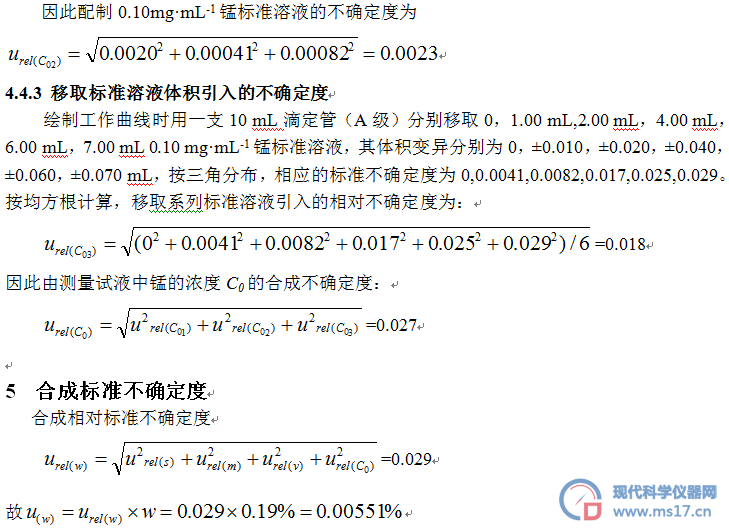 Abstract: The uncertainty for the determination of Mn in aluminium alloy by AAS was analyzed. 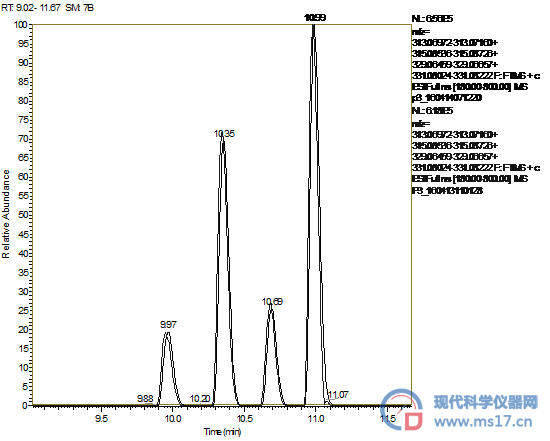 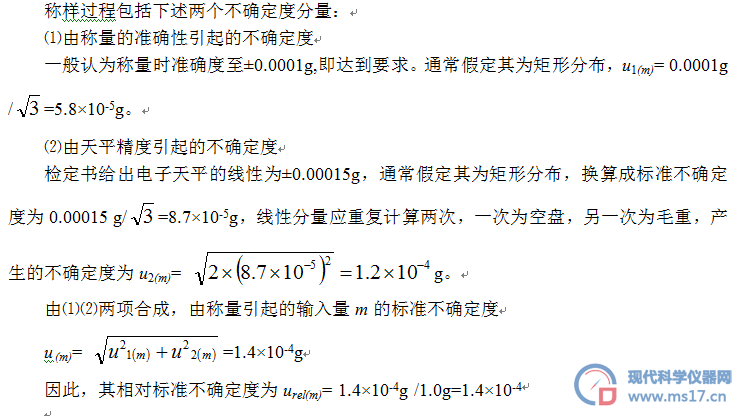 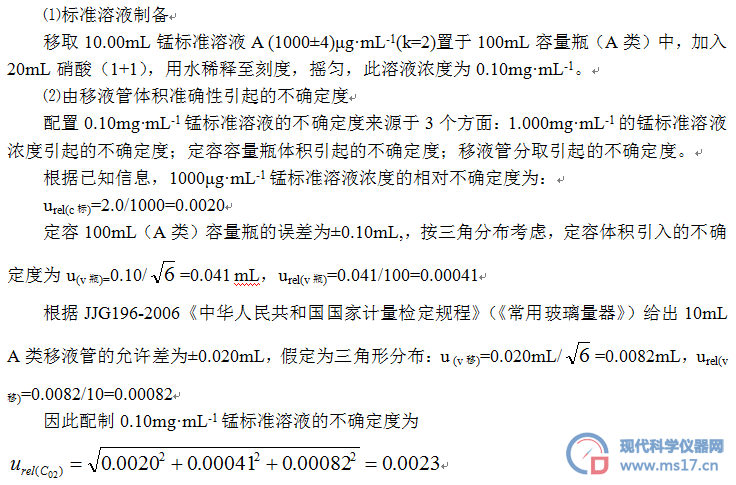 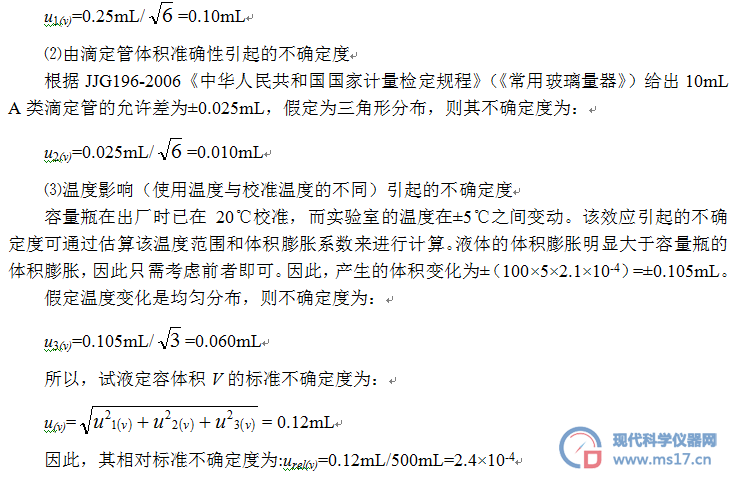 The sources of the uncertainty resulted from the determination of Mn concentration in the solution, the volume of the solution and the weight of the sample were discussed and calculated. 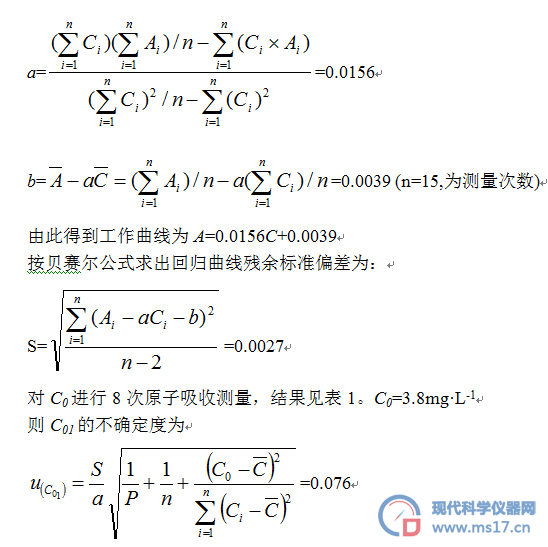 At last the combined standard uncertainty and the expanded uncertainty were reported. 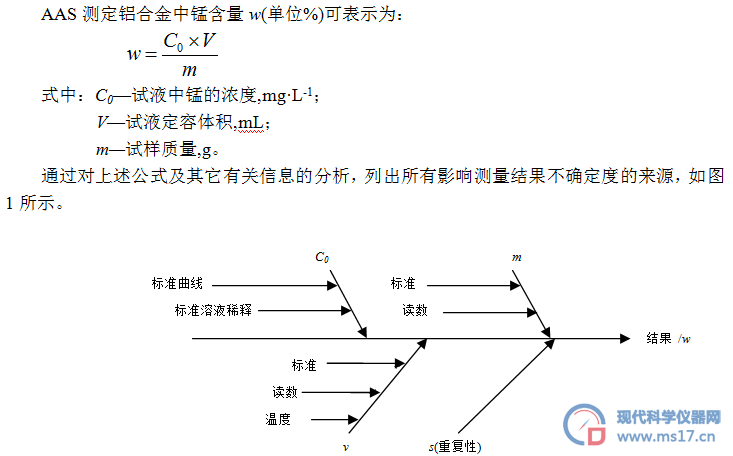 At the same time, through evaluation, it was indicated that the main factor affecting the uncertainty for the determination of Mn is the uncertainty of Mn concentration in the solution.